So, the FIFA World Cup is over for another four years and what a fine tournament it was too. In England, our hopes were not high going into the tournament it has to be said. Even so, the England team surpassed all expectations by being even more rubbish than the whole country thought they would be. There were only two high points for England and they were Daniel Sturridge’s equaliser against Italy and Wayne Rooney’s equaliser against Uruguay. Both were tap-ins and both couldn’t miss. The brief excitement generated by these goals was soon extinguished by certifiable madsters, Mario Balotelli and Luis Suarez. 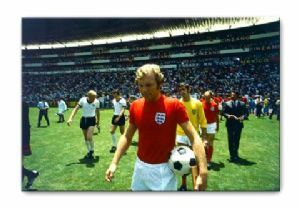 England then “dug-in” for a 0-0 draw against Costa Rica in the last game. As it turned out, Costa Rica were quite good and after finishing top of the group got to the quarter finals where they were eliminated (and unluckily so) by the Dutch. Firstly, go and watch junior teams playing against each other in leagues up and down the country on Saturdays and Sundays. These junior team ages range from under 7’s and above. Most of the coaches are “dads”. Some are good, the majority are not. Listen to the screaming, snarling, swearing, anger that gets hurled at these poor kids by the coaches in a lot of instances and you will see where I’m coming from. My kids have both been playing since they were 6 years old and I have seen it all. The attitude is “win at all costs” and that is about it. People skills leave a lot to be desired too. My eldest son is 15 and a referee. When he was 14 and was officiating in a junior football tournament during summer 2013, he was shouted at by a coach during one game who screamed in front of everybody that my refereeing son “was an effing cheat”. Charming. Don’t get me wrong, there are a lot of people working at junior league level who are devoted and give incredible amounts of time to the cause. There are plenty of good people. However, there is an awful lot of “bad” too. An awful lot. Secondly, I will say to you – “just what are the England football team and who exactly do they represent?”. When a team have to be told (for the third tournament running) that they must sing the national anthem then you have to ask yourself, is there much going in the way of national pride here? Compare that to the Germans, the Chileans, the Brazilians etc and the contrast is incredible. Players representing other countries sing the anthem as if they are about to go to war – they would almost die for their countries. Our players do not play with this mindset. Is the England football team representing England? If so, why do we sing the same anthem that is also the anthem of the United Kingdom? The Welsh, Northern Irish and Scottish sing their own national anthems at sporting events and why shouldn’t they? They have national pride which centres on their own identity and national heritages. There is no one answer to the English football crisis but there are a number of factors, that’s for sure. In the meantime, we turn nostalgic. Our England football canvas prints turn the clock back to 1966. By my calculation that’s now 48 years of “hurt”. Ouch.